Go all out and shop out of the ordinary from millions of merchants around the world. With PayPal, you can shop for unique gifts seamlessly and safer at home, at work, or even on the go. Looking for PayPal for your business or freelance needs? 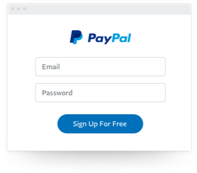 Signing up for your very own PayPal account is easy and free. Link your preferred credit, debit or prepaid cards to your PayPal account. Use PayPal and you never need to enter your card details every time you pay. We keep all your financial information securely encrypted and protected with 24/7 anti-fraud monitoring. Changed your mind on your purchase? Ship it back and get a refund of up to US$15 on return shipping*. We work with local and overseas banks so you can use your preferred card/s and continue earning rewards. If something goes wrong with your purchase, you're protected by PayPal's Buyer Protection. Shop and pay with PayPal and not only will you never have to worry about security, you'll also get to enjoy exclusive PayPal deals at your favourite stores. Shopping with PayPal is safer and easier because all you need is your email and password, and we'll keep all your details safe and secure. Pay for items or services you've purchased easily and more securely. All you need is an email address or mobile number to send a payment. Skip the PayPal login on future purchases when you activate PayPal One Touch™. Now you can shop all the things you love faster than ever. 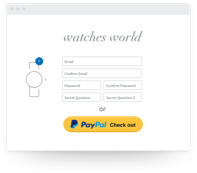 PayPal offers solutions for you to get paid easily and more securely whether you do business on your online store or directly via email.